HardwareZone.com.ph, in partnership with Kata Mobile Philippines, is giving away a Kata i1 Android smartphone! Simply answer our daily trivia questions based on the review that we have published and get a chance to bring home the prize! 1. The Kata i1 Trivia Challenge is open to Filipino citizens who are currently residing in the Philippines and are of legal age. 2. Before a participant can join the contest, he or she must join HardwareZone.com.ph’s Forums. 3. Participants must like the following Facebook fan pages: HardwareZone Philippines (www.facebook.com/HardwareZonePH) and Kata Mobile Philippines (https://www.facebook.com/KataMobilePH). 4. 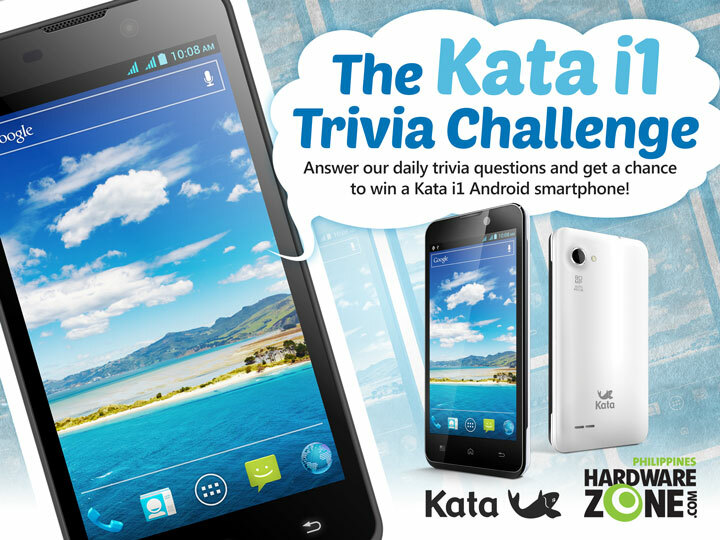 The trivia questions will be about the Kata i1 which is featured in HardwareZone.com.ph’s review section. Participants should derive their answer from the article. 5. Participants who will be able to complete the daily trivia questions will get a chance to be included in the raffle. 6. HardwareZone Philippines will announce the winner on HardwareZone.com.ph’s Forums and social networking channels. 7. The winner must not be related to HardwareZone Philippines or Kata Mobile Philippines in any way. 9. The contest will run from May 8 to 24, 2013. Last edited by littlelion; 22-05-2013 at 02:14 PM.. Reason: Extension. Trivia Question #1: What version of Android does the Kata i1 use? Let's start the ball rolling! Good luck guys! Last edited by zyxrbg; 15-05-2013 at 09:28 PM..
Last edited by fuegoraged; 08-05-2013 at 09:41 PM..